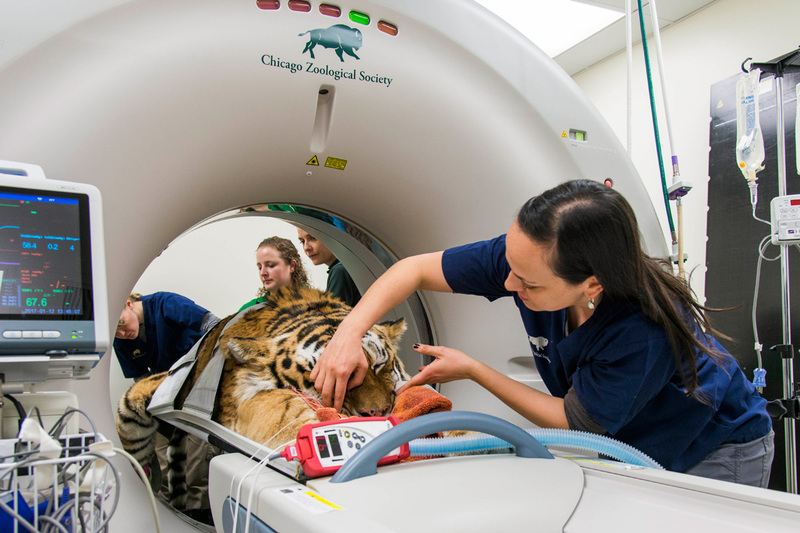 Brookfield Zoo animals are under the care of a veterinary team that is extraordinary in the zoo and aquarium world. The goals of the veterinary work here are many and broad: to provide a superior level of care to our animals, to advance standards for zoological medicine for all animal-holding institutions, to positively impact conservation efforts, and to provide powerful connections for our guests. 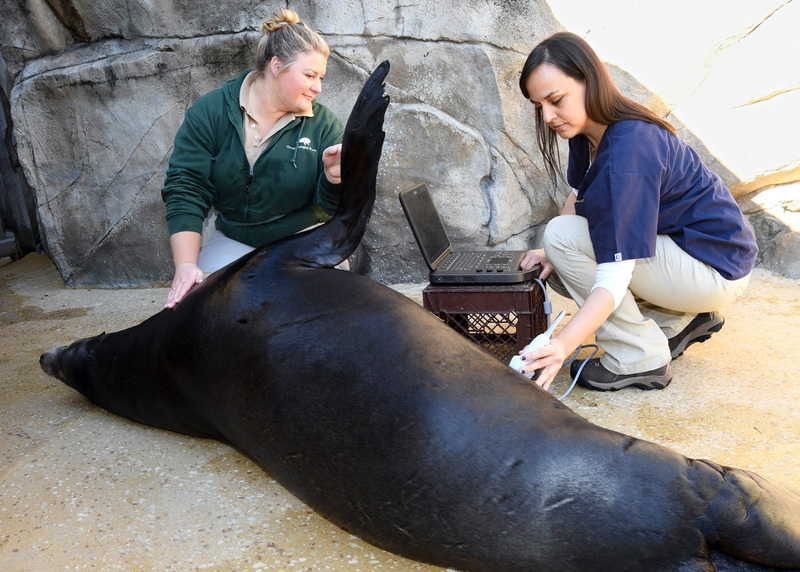 Our team unfailingly advances the science of zoological medicine in these ways. Meet Dr. Marina Ivančić. Ivančić moved to the United States from Zagreb, Croatia when she was five years old. 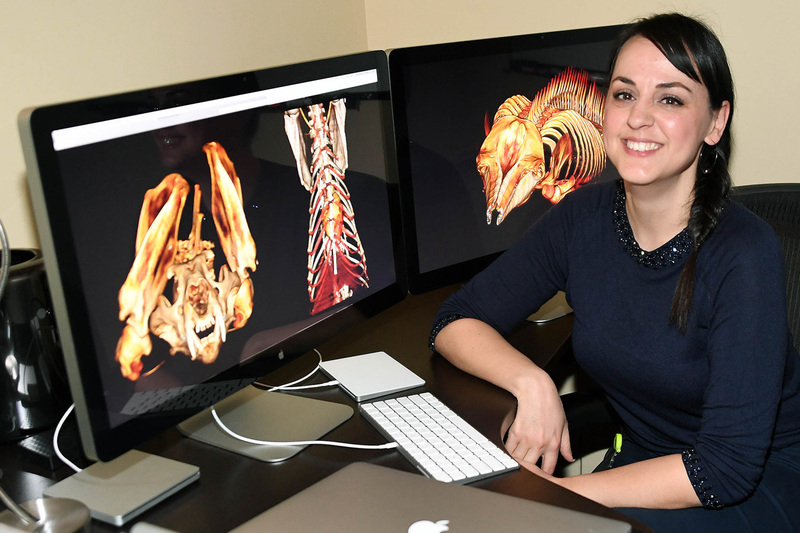 Her fascination with dolphins and her drive to help care for them led her to become the world’s first and only zoo-based veterinary radiologist. She joined the Brookfield Zoo team in June 2016. Q: When did you first know you wanted to be a veterinarian? A: My mother was a veterinarian back in Croatia. I always loved animals, but it wasn’t until I decided to end my first career as a classical ballet dancer that I considered veterinary medicine. When I imagined something I loved and I could do every day without losing my passion for it, it was caring for animals. Q: Why did you decided to study nondomestic animals? A: While earning my undergraduate degree, I completed a research internship studying dolphin cognition and language in Hawaii. It was a s though a switch was flipped—one of the greatest things ever to happen to me. I knew I wanted to work with them to be a veterinarian with a marine mammal specialty. Q: What about the road to radiology? Program in San Diego, I realized I couldn’t conduct a physical exams on these 600-pound marine mammals the same way I could with a cat or dog. I needed ultrasound. I knew I had to be good at radiology, at diagnostic imaging, if I was going to be able to care for them. I spent summers studying imaging of marine mammals on my own. I was fortunate to have an incredible mentor—a radiologist—during my internship. He encouraged me to become both a radiologist and a marine mammal vet, even though it hadn’t been done before. Q: What would make your job more rewarding or easier? A: My job would be easier with more zoological veterinary radiologists. Right now, I’m the only person doing this, and the animals need more of us. Even though the demands of this job are pretty intense, it’s also important for me to set aside time to mentor people who are considering this a career. I would love to grow the field. Q: Why is zoo-based veterinary medicine so important? A: The Society’s veterinary team spends days, nights, weekends, and holidays to make sure the animals in our care are not just well but flourishing. We do this because we love these animals, of course, and because we want zoo guests to feed something when they see the animals—to feel inspired to do something on behalf of the entire species. We want this inspiration to translate into a passionate commitment to care and advocacy for all wildlife. For instance, we hope guests understand the connection between their lunchtime plastic straw and the detrimental impact of plastics on marine animal health. People truly can take comfort knowing that because of their support, Brookfield Zoo’s animals receive top-notch care. It’s my hope that our guests will show the same love and concern for the environment. In that way, endangered animals in the wild that don’t have access to Brookfield Zoo-level care will still be protected. Q: Any advice for those considering a veterinary career? A: Becoming a veterinarian and a radiologist are the best decisions I ever made. I believe people have to work really hard to make good things happen. Be proactive. You may have to shape your own curriculum, find your own mentors. Diligence and fearlessness pay off.